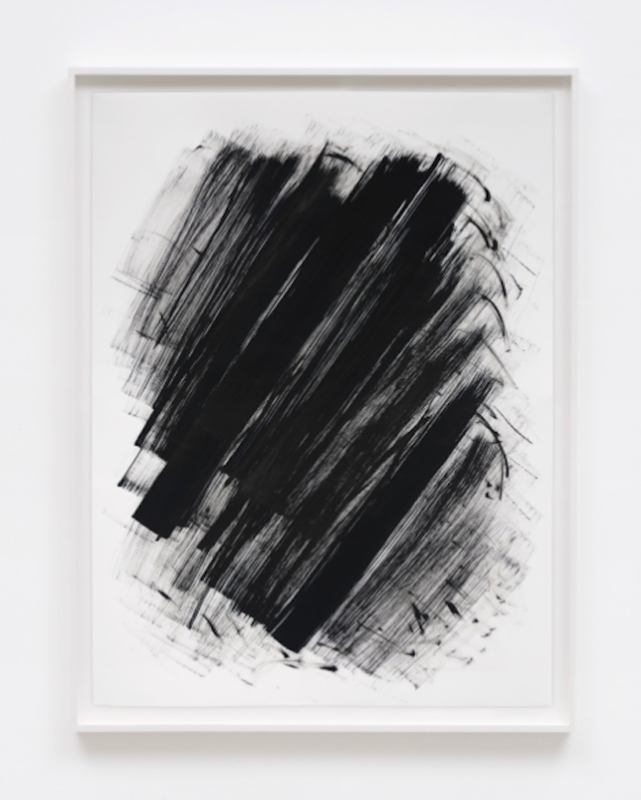 M+B is pleased to announce Matte Black Marks, Matte Black Pictures, Phil Chang’s second solo exhibition with the gallery. The Exhibition runs from June 29 through August 31, 2017, with an opening reception on Thursday, June 29 from 6 to 8 pm. Matte Black Marks, Matte Black Pictures extends Chang’s investigation into what constitutes a picture in an inkjet era. 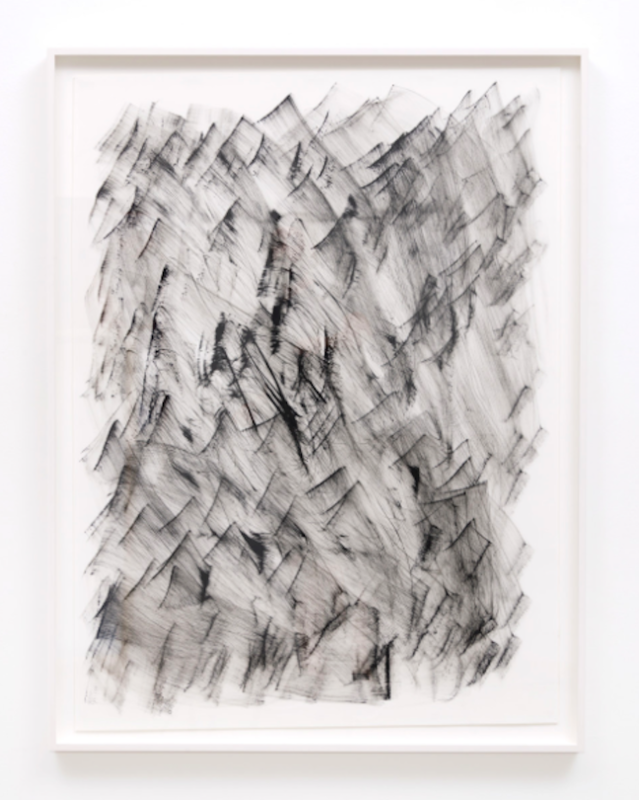 From his Cache, Active series of unfixed and unstable gelatin silver prints, to his monochromes printed from digital files, to his works on paper using inkjet printer ink—each body of work endeavors to reveal the medium’s necessary support structures. By focusing on the forms of production and materiality, Chang is able to call attention to the unique potential of the photographic image to function simultaneously as commodity, artifact for cultural significance and object for philosophical investigation. 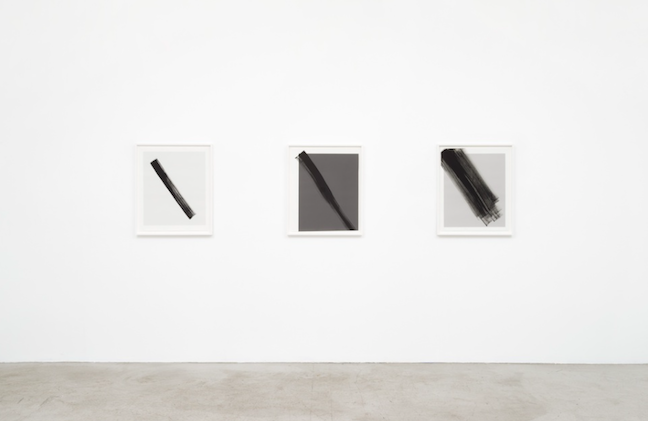 A variation of marks will be on view including single marks, multiple marks and Chang’s attempts at covering entire sheets of inkjet paper with matte black ink. 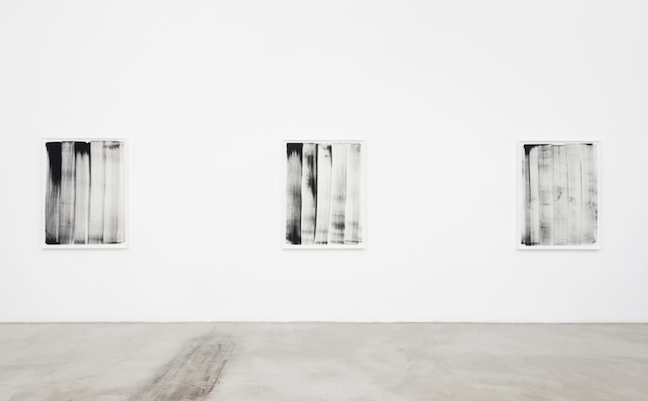 In several of the works, Chang has manually applied matte black ink to actual inkjet prints that display variations of grey. On close inspection, it is difficult to discern any differences between the results of the printer or that of Chang’s labor due to the absorbing qualities and flat surface of inkjet paper. 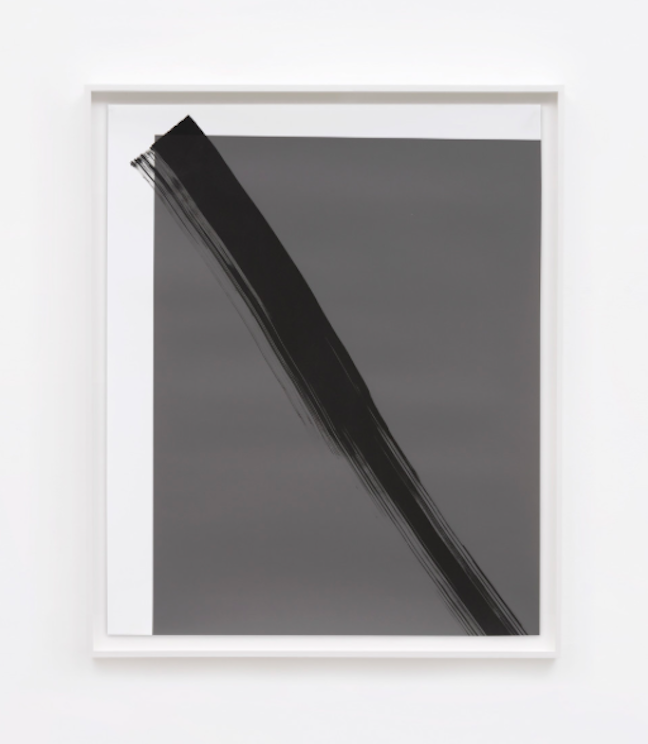 The exhibition emphasizes the material properties and economic conditions of inkjet media, as seen in the works’ titles, the collision of third-party ink and a dominant brand’s paper product and the choice of solely using matte black ink and matte surfaces of inkjet paper. The works here reflect inkjet printing developments where the goal of achieving dense blacks resulted in the creation of two different black inks, each optimized for a certain type of paper: photo black ink for glossy papers and matte black ink for matte papers. The latter relationship informed the works for this exhibition.